Dentsu, Havas, IPG, Omnicom, Publicis, and WPP have teamed up with Google for Common Ground's new Little x Little campaign. You’re terribly mistaken if you think the power of social media is fading—just look at the campaign for gun control spearheaded by survivors of the Marjory Stoneman Douglas school shooting. But the effectiveness of Facebook, Twitter, Instagram, and other platforms is only as good as those behind the steering wheel. 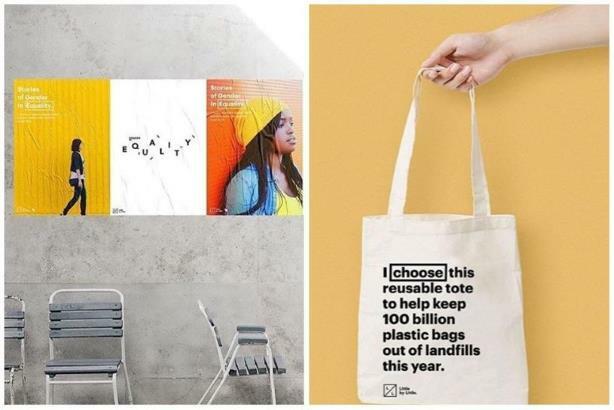 That’s why the world’s six largest advertising agencies are calling on Generation Z (91% of which use social media, according to new research by Hill Holliday) for its combined push for a more sustainable future. Common Ground, an initiative formed by Dentsu, Havas, Interpublic Groupe, Omnicom Group, Publicis Groupe, and WPP, has launched Little x Little, a global campaign in partnership with Google, with the audacious goal of inspiring 2 billion acts of good by 2030 in support of the U.N.’s Sustainable Development Goals. The movement kicked off on Thursday with influencers including Yara Shahidi, Adebola Williams, Gemma Stafford, Marissa Rachel, and Jillian Mercado calling for action on YouTube in a series of videos. "Little x Little is unleashing the strength and number of 2 billion young people to save the world," said activist Jillian Mercado. "Every day, young people are already pitching in and providing solutions to the world’s biggest problems, but they just don’t know it. This initiative connects these many disparate acts into one massive movement for good and I think we’re all going to be amazed by the wave of change we will create from doing the little things, over and over again." It is hoped the campaign will tackle the most important issues facing humanity, such as ending poverty, fighting inequality, and halting climate change. In a joint statement, the CEOs of the Common Ground partnership said, "Common Ground was born of the idea that, as an industry, we can set aside our differences to support the agenda of the 17 global goals. Little by Little is proof that this is not a theoretical ambition, but an achievable goal." An anthem video posted on YouTube at the end of February has already garnered more than 15 million views. Torrence Boone, VP of global agency development at Google, celebrated the platform's role in this meaningful campaign. "Video can affect us like no other medium. It can educate, build understanding and even change the way we see our world," he said. "It’s exciting to see Common Ground’s Little x Little campaign come to life, and we’re proud that YouTube’s platform and influencers will play a crucial role in spreading this important initiative." Amina Mohammed, the deputy secretary general of the United Nations, added, "We have a blueprint for a better world—the Sustainable Development Goals. Little by Little is about young people around the world coming together to build a movement for success. It is based on a powerful notion. Yes, we face a lot of big problems, but we can start fixing them through a lot of small acts. Step by step, little by little, we will get to a better world."